ClassNK has appointed Dr. Toshiyuki Shigemi as executive vice president, and executive director. Image of Shigemi, from ClassNK. Yasushi Nakamura has stepped down as senior executive vice president, and has been appointed as an advisor to the Society. Shigemi joined ClassNK in 1981. After a career including roles in plan approval, ClassNK’s research institute, and on-site surveys, he took up the position of general manager of the development department in 2008, where he was responsible for overseeing ClassNK’s rule development activities for over one decade, at the time when class rules were undergoing major changes, such as development and update of the common structure rules. 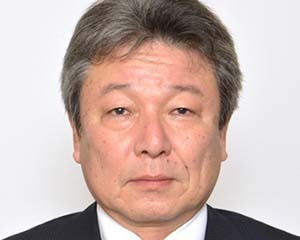 Shigemi graduated from the Department of Naval Architecture, Hiroshima University in 1981, and received his Doctorate of Engineering from Osaka University in 2003.